Hanif Kureishi wrote the screenplay for Venus about Maurice (Peter O'Toole), an aging actor who develops a special bond with Jessie (Jodie Whittaker), a young, beautiful and wild girl. 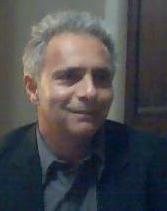 Previously, Hanif Kureishi has written the screenplay of The Mother, Intimacy,My Son the Fanatic and My Beautiful Laundrette. I had the privilege to interview him. 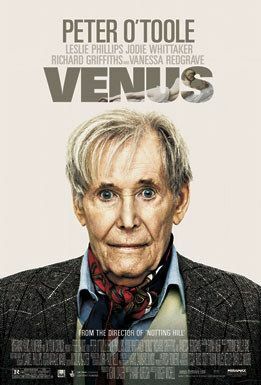 Miramax Films will release Venus on December 21st, 2006. NYC MOVIE GURU: Where did the idea for the story come from? HK: I was intrigued by writing a movie about a bunch of old guys hanging out because the dialogue is always comic and absurd. Then you need something to happen in the movie—you need a girl to throw into this script of men just to see what happens. NYC MOVIE GURU: How do you decide whether to write a book or a screenplay? HK: Usually, it’s obvious. If you got the idea for a short story, you sort of see the whole thing—you see that it’s a story. There are occasions when you can’t make up your mind and there’s a film that Roger and I might do, but I might write it as a long story. But, also, it’s practical. I’ve got to make a living of this spending 5 years working on a novel and then getting some money in between while doing a movie, for instance. So, a lot of it is just pragmatic. NYC MOVIE GURU: Did you write the screenplay with Peter O’Toole in mind? HK: When we were working on the script, we would talk about various people. We’d just run through all these people. You don’t know, actually, until you go into production who’s available. You want to shoot the film, you’ve finished writing the script, you want to [get going], you want somebody who’s available next week to do it. [Peter] O’Toole seemed, by far, the best choice. He’s got the weight, he’s got the charisma, [and] the experience. He’s a total movie star even though he’s never had a leading role for 20 years. You say “Peter O’Toole” and everybody knows who [he] is. NYC MOVIE GURU: Do you think that older actors get enough big roles? HK: For older actors, there are many big parts written for them. Most of them are, kind of, gestures now. But if you write a good whacky part for an older actor, they run toward you [because] they’re so grateful. These actors are the best actors in the world. We’ve got Peter O’Toole, Vanessa Redgrave, [and Richard] Griffiths. It’s fantastic to write for these people. NYC MOVIE GURU: How did you manage to get Jodie Whittaker on board? HK: You have a good casting director and you need someone, because they’re young, probably new. So, you just need somebody else who just spends all their time hanging around the drama schools and then they bring in 20 people. When you see 20 people, you would gradually get a sense of what doesn’t work and then you begin to get an idea of who might be able to play this part. Then, Jodie [Whittaker] walked in. It was a long process because you’ve got to put [her] together with Peter O’Toole, which is terrifying for her as well. This poor girl, just out of drama school, walks into a room and has to go through a scene with Peter O’Toole. NYC MOVIE GURU: What structure did you use to write the love story in Venus? HK: It’s really 3 love stories. It’s Leslie [Phillips] and Peter O’Toole, it’s Peter O’Toole and ex-wife, played by Vanessa [Redgrave], and, obviously, [it’s also] Jodie [Whittaker] and Peter [O’Toole]. Interweaving those 3 relationships and keeping them all going at once is quite tricky to do. We spend a lot of time fiddling around with the structure. It took me 3 months to [finish] writing it. NYC MOVIE GURU: What challenges did you have while writing this structure? HK: We wanted [the structure] to be comic and then [Maurice, played by Peter O’Toole], dies at the end. You’ve got a lot of comic stuff and you’ve got to change and blend the tone. So, [when] you get to the end when Maurice dies, you don’t want it to be too sad and you don’t want it to be too comic. NYC MOVIE GURU: What’s it like being around Peter O’Toole? HK: He’s a frightening man in the sense that you’re frightened of him. He never did or said anything particularly frightening. He’s a very intelligent man [and] a witty man [and] very experienced. He’s [also] a man who loves to tell stories. You’ll sit down with him and he’ll tell you about Omar Sharif for an hour or [about] David Lean. It’s fantastic to listen to it, but you’re always slightly on edge. You think, “This guy is a big movie star. I’ve got to behave well”. He made about 3 suggestions which we incorporated [into the film], but he wasn’t difficult—it’s just that he was quite frail. We couldn’t shoot for too long and then do 4 takes and stuff like that. You’ve got to be really careful that he’s not exhausted by it. NYC MOVIE GURU: Did anything halt the production? HK: [Peter O’Toole] fell over halfway through the shoot and broke his hip. We had a whole set waiting for 3 or 4 weeks for [him] to get out of bed again. It wasn’t because he was drinking; it was because he was so frail. NYC MOVIE GURU: How is Peter O’Toole able to find balance comedy and drama? HK: He knows how to do that. He’s got [good comic] timing and he’s a fantastically experienced actor. [Director] Roger [Michell] is more interested in the actors than he is in the camera. He’s with the actors all the time. He always gets good performances. NYC MOVIE GURU: How have older audiences reacted to Venus? HK: The older audiences love that stuff. We’ve shown this movie in New York and Los Angeles to older audiences and they didn’t want to be patronized. They swear [just like everyone else] and do bad things—they’re not children. We wanted to have fun with it. You sit around with your [friends] in a café and everyone’s swearing and it was that that I wanted to capture. NYC MOVIE GURU: How much freedom do you give your actors when writing a screenplay? HK: I’ve always been served well by actors. In my first film, My Beautiful Laundrette, I had Daniel Day Lewis in it and [other] fantastic actors. What I do is try to make a space for the actors. You write the script and think, “Well, if the actor is good enough, this will really work. I’m going to write from there to there, but they’ve got to fill it out”. Peter O’Toole has got to look into the camera with those eyes, with his whole soul and the camera will see that. The actors are smart enough to know how to do that. NYC MOVIE GURU: How do you know how much freedom is necessary? HK: You’ve got to put the right amount on the page. You don’t want too much so that it’s over-clogged and you don’t want too little. You’ve got to write [with] the right about of space and then the director will move them through it. For me, I entirely rely on other people. I write this stuff and then the actors and the director and all the others got to make it come alive. NYC MOVIE GURU: What was it like sharing your ideas with director Roger Michell? HK: If you’ve worked with some one before, you can say stupid things all the time. You have lots of bad ideas and go, “Why don’t we do that?” and [Roger Michell] says [that] it’s a terrible idea. And finally, you find a little idea that’s a good idea. Some of the scenes I wrote were ridiculous, but [Roger] edits them. NYC MOVIE GURU: Do you think Peter O’Toole deserves an Oscar for this role? HK: It would be great if Peter O’Toole wins an Oscar for this film and if Helen Mirren wins an Oscar for The Queen. It would be fantastic for really good British acting. We can’t afford to make big movies like with car chases—apart from James Bond [movies]. All we got are actors talking to one another. NYC MOVIE GURU: What helped to push your career into success? HK: My Beautiful Laundrette was the breakthrough, I guess. [It] was a film that we made quickly and cheaply, but it showed that you can make a film about a certain ethnic community and reach a big audience. You’d used to go to some producer and he’d say, “Who would want to go see a film about a Pakistani?” So, [after the success of that film], the door opened for others. NYC MOVIE GURU: Which writers or movies have inspired you? HK: Sadie Smith. Movies like Bend it Like Beckham, East is East--I’m not responsible for those talents, but you open the door and the stuff can be successful. There are these communities who didn’t have a voice. That’s how culture develops, by bringing new people into the middle. NYC MOVIE GURU: Why do your films have some sexuality? HK: You need that crackle, man. When I read My Beautiful Laundrette, originally, it was about two guys running a launderette together. And then I wrote a draft when they kissed and then you get the crackle. It’s pushing it, I think. When you get the crackle, you get a bit of life. NYC MOVIE GURU: How did Corinne Bailey Rae get involved in the soundtrack? HK: Roger [Michell] went on a long drive to Whales with his daughter and she said, “I want to get this record before we go”. So, he went out and bought it and put it on. So, it started to play and, by the end of the journey, he thought that maybe it would fit on our film. It’s a young woman’s music. I think it works really well. It really gives you a lift. NYC MOVIE GURU: How did you end up with the title Venus? HK: It started out as a joke. First of all, the working title was something like Everything is Forgotten Gradually. Then Roger [Michell] said that this wouldn’t look good up on the marquee and I thought, “Why not? It’s a fantastic title”. Then, in my study, I got a [painting] of Venus and it suddenly occurred to me, “Why don’t I make a movie about Venus di Minga?” Minga, in England, is a kind of rough, bad girl. It was a joke like My Beautiful Laundrette. Roger said that it’s a little bit immature to make, even for [me]. Then, [the title] just became Venus--the idea of that beautiful girl copying that [painting] occurred to us. NYC MOVIE GURU: Did Peter O’Toole improvise any of the dialogue? HK: He didn’t want to improvise. It’s very hard to improvise on camera. You can’t just make stuff up when the camera’s on you. It’s a nightmare to do that. NYC MOVIE GURU: How long was the rehearsal? HK: We rehearsed for a week and just sat around. It was really to do with inducting Jodie [Whittaker] into the lives of the men and making her relaxed and familiar with the fact that she’s starring in a movie with Peter O’Toole. NYC MOVIE GURU: Did you get involved on the set during production? HK: Different directors do that differently. Stephen Frears likes you to do that all the time. He wants you sitting next to him and he’ll go, “What’s happening in this scene? Can we change that?” I’d sit there and right all the stuff. Roger [Michell] wants everything to be decided, so, when he’s on the set, he knows that this is the scene and there’s not going to be any [messing] around with the dialogue. NYC MOVIE GURU: Which style do you prefer? HK: I prefer the staying-at-home style now. Being on the film set is quite dull, actually, for a writer because there isn’t really anything for you to do. Most of the time, they’re kind of just shifting the lights around. You’re always in the way and there’s never anywhere for you to sit. You feel a bit awkward and realize that you’re job is over. NYC MOVIE GURU: Have you ever experienced writer’s block? HK: I had a lot of writer’s block before I had children. Once I had children, I had to worry about my writing because, first of all, your day is more limited. Secondly, you’ve got to make money out of this game. The writer’s block was forced, as it were, to disappear. I feel guilty sitting in my house all day doing nothing. I have to pay for [my] kids to go to school. NYC MOVIE GURU: How do your kids react to your movies? HK: My [13-year-old twins] won’t watch them. They hate them, they say. They love American Pie, real gross-out [movies like] Texas Chainsaw Massacre, Blade 2. NYC MOVIE GURU: Do you enjoy writing for an older crowd? HK: Older people really like it and I like that. I don’t want to write movies [for] kids anymore. I can’t do that. I don’t know how to do that. But the person who I know goes most to the movies is my mother. She’s 80, but she goes to the movies all the time. She’s got the time, she’s got the money and she goes with her friends. So, I’m happy to write for those people. NYC MOVIE GURU: How often do you get to see Peter O’Toole? HK: He’s very reclusive. I don’t see him. Roger [Michell] doesn’t see him. He’s going to come out and, I think, going to do some stuff for this film. NYC MOVIE GURU: Who do you share your ideas with during the writing process? HK: I would work with my editor on my novel. He’s an old friend of mine who I respect and knows what he’s doing. I would work with Roger [Mitchell] or whatever director it is. Occasionally, I’d show something to somebody and ask for their advice, but they’re not into it in the same way. What you want when you’re working on something is a good, helpful suggestion. You don’t want some one saying, “This is good”. It doesn’t help you at all—or “This is bad”. You’ve got to find the right person, really. NYC MOVIE GURU: Are you ever certain about what your writing? HK: I don’t think you ever are, really, [certain]. You’re always fiddling around. It’s a nightmare. The whole process of writing is an endless process of doubt. NYC MOVIE GURU: Do you enjoy seeing the finished product? HK: I’m relieved it’s over. By the time you’ve reached the end, you’re so bored of it. You can’t face to look at it ever again. That’s when you know when it’s done—it’s the boredom. NYC MOVIE GURU: Do you like any American writers? HK: American writing, really, was [part of] my childhood. When I was a kid, I would read Catcher in the Rye, On the Road--that was my generation of writers. [I love] the movies of [Martin] Scorsese and [Francis Ford] Coppola. NYC MOVIE GURU: Would you consider directing again? HK: I’m never going to do it again. I’ve actually done a short [film] set in a Bagdad basement called Weddings and Beheading. I’ve got a young Asian director to do it and these guys are much better at directing than I am. They’ve got lots of good ideas [and] they know where to put the camera. I know that I don’t really know how to do that. I don’t feel at home on a film set the way that a real director feels at home. You see Stephen Frears on the film set and you think, “This man is supposed to be on the film set”. He knows how to run all of this business. Organizing people is not my thing. NYC MOVIE GURU: What’s your next project? HK: I’m working on a long novel called Something to Tell You which is really, I guess, [about] my life in London. It begins in the early 70’s with an Asian family coming from Uganda and it ends with the bombings on 7/7 [of] last year. It’s really about race, immigration, Muslims [and] sexuality. Venus, financially, is actually helping me to finish this book.